Our astrologer weighs in on what the solar eclipse has in store for us. On Monday, August 21 at 2:30 PM, something’s coming that hasn’t happened for a hundred years. Everyone’s excited and a little nervous about its arrival. People are flocking from all over the United States to celebrate this once-in-a-lifetime phenomenon. It’s true: the total solar eclipse is about to be the biggest event of the summer. What makes this eclipse so special? It’s being called the “Great American Eclipse” because it’s visible across the continental United States, from the Pacific to the Atlantic. It’s one of the first solar eclipses (some calculations say since 1776!) to be visible, and people are more intrigued by what it means than ever before. Unlike the much-hyped Mercury retrograde (which, coincidentally, will also be happening then), this eclipse is as important as everyone is making it out to be. All eclipses are a capital “D” Deal, acting as intensified versions of the new and full moons we experience every month. In fact, things that happen in line with an eclipse can take as long as six months to a year to fully unfold! The moon’s typical 28-day cycle starts at the new moon, grows under the waxing moon, comes to fruition at the full moon, and resolves itself as the moon wanes. When an eclipse hits, you’re going to be dealing with events that are a *little* heavier than your everyday lunar cycle. A solar eclipse happens on a new moon, when the moon comes in between the sun and the earth at just the right angle to block out the sun. So, you’ll get all the usual benefits of a new moon, like big offers, new opportunities, and a chance to start fresh, but with an added level of potency. If you’re feeling witchy, light a candle and make a wish. With the eclipse behind it, you never know what could happen! Astrologically, the eclipse falls in Leo, the zodiac’s resident performer, leader, and drama queen. The big takeaway here is how you deal with visibility and doing what you love in public. It’s not something that comes easily to everyone, but it’s something we all eventually have to deal with. What happens now helps you dig inside yourself and find your Sasha Fierce, the part of you that loves the spotlight (or learns to love it, anyway). The best thing about the eclipse? It’s a good one. It’s locked into what astrologers call a Grand Trine formation, one of the luckiest possible, with serious Saturn and inventive Uranus. It’s a perfect proving ground for new professional ideas. Or, you could make a big change to your daily routine that makes you feel like a totally new person. Whatever happens, the overall result is going to be you in a much better position than you were before. Now that’s something we can get behind! Want to know what the solar eclipse has in store for you? 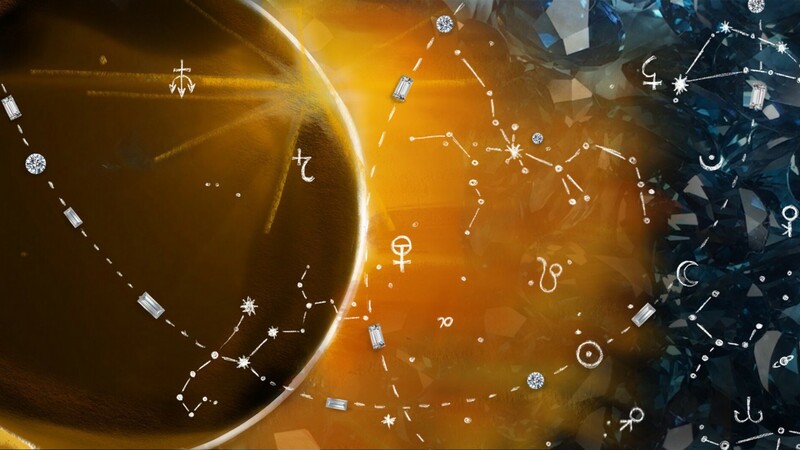 All the details for your sign are in the August horoscopes!